Welcome to Gatwick Parking, where you will get the latest information and prices on Gatwick airport parking and Gatwick airport hotels. With us, you can save up to 60% on Gatwick car park gate prices when you prebook your cheap parking at gatwick online with us. When you are looking for a car park at gatwick make sure you check whether the gatwick car park is off airport or on airport. This can make a big difference in terms of the time taken to travel from each long term car park to the Terminals. We can also offer you Gatwick valet parking or meet and greet parking. With this service there is no wasting time as you are met at your Gatwick departure Terminal on arrival and return. You can pay for your Gatwick parking or Gatwick airport hotel online with a debit or credit card. However, if you prefer to book offline, please call us on 0871 360 1387. Simply fill in the form to access our secure server and get a gatwick parking quote for the duration of your trip. You can also check our gatwick valet parking prices here. 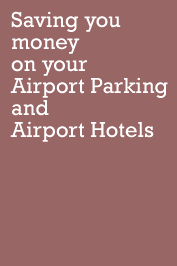 Get a Hotel with airport parking quote for the duration of your trip.